My Shiba Inu Toshi is one today! I can't believe it. I want to include some more Dog posts this year on my blog. My little nugget is photogenic and deserves to get some more notoriety. We went to a cute Shiba Inu meetup a few weeks ago and I must say, Shiba's are a bit of a rare breed and cult fave. 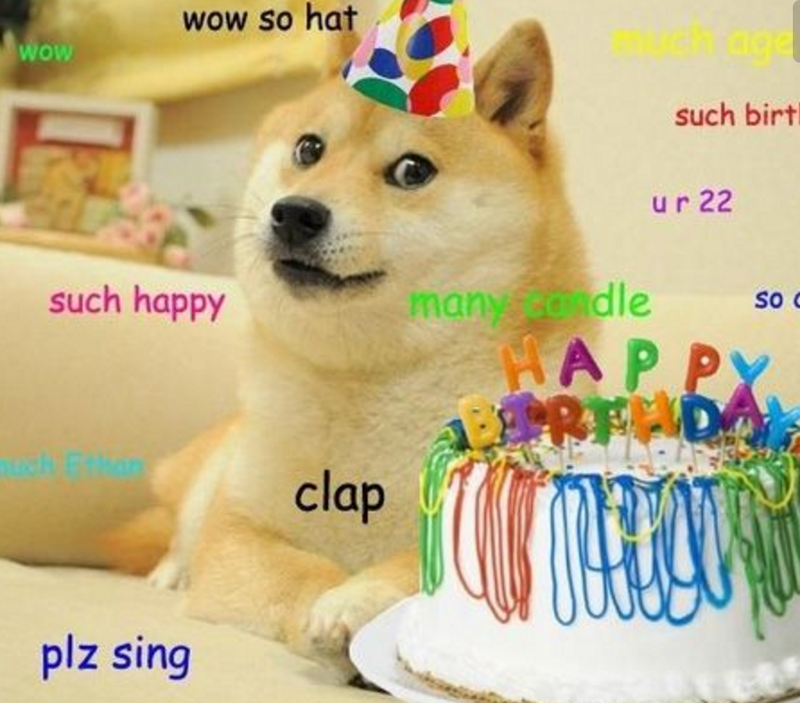 You might be familiar with the Doge Meme. 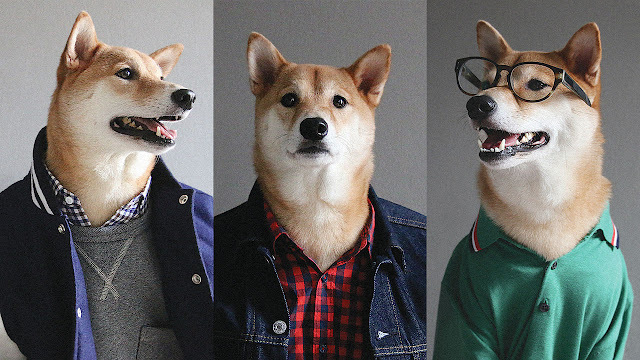 Or the Famous Menswear dog. Here are 5 Shiba Facts so you can get familiar, I will be inundating you with more Shiba nonsense in the near future. There is a whole world of dog blogging that Toshi needs to conquer. 1) Shiba's are the smallest of the Japanese spitz family. The family includes: Akita Inu, Shikoku Inu, Kishu Inu, Hokkaido, and Kai Ken. 2) Their dog means Brushwood Dog. They typically like to run through the tall grass while hunting, Japanese brushwood is the same sesame color as the sesame Shiba. 3)They were bred originally to be hunters! They would hunts everything from bears, boars and and birds. It explains so much when we are out and he chases rabbits and squirrels. 4)The breed is the most genetically similar to wolves. This suggests they are one of the worlds oldest domesticated breeds. 5) Shiba Inu's are fairly new to America. They were first brought here in 1954 but the first real litter born was in 1974. The AKC didn't recognize the Shiba breed until 1992! Toshi is AKC registered and has 26 champions in his bloodline. We are interested in breeding him but haven't really found a suitable mate yet. We also want another one in the future. Shibas a loyal and standoffish to strangers, so basically my spirit animal.